We are publishing a “progress report” from a member of our tree team who attended a Weed Management Workshop on June 3, 2017. This report suggests that the goal of local ecological “restorations” may be more realistic than they were in the past and potentially less destructive. I attended a Weed Management Workshop this morning that was co-sponsored by East Bay Regional Park District and the California Invasive Plant Council. It was attended by about 70 people, representing many of the “stewardship” organizations engaged in native plant “restorations.” The main speakers were Doug Johnson, Executive Director of the California Invasive Plant Council and Pam Beitz, a member of the Integrated Pest Management staff of the East Bay Regional Park District. Although the usual accusations about the negative impact of “invasive” plants were discussed, the speakers made several acknowledgements about limitations on their objectives that represent significant progress in the 25-year debate about invasion biology. In the spirit of encouragement, I will tell you about a few of them. Doug Johnson set the tone at the beginning of the workshop when he said, “Non-native plants aren’t evil. It’s important not to get ideological about this.” The audience did not react negatively to his appeal to base judgments about non-native plants on their ecological function and impacts on ecosystems. Beitz said the goal of these weed management projects is to eliminate “invasive” plants from a small enough area that it can be managed for the long term. She said it is no longer considered feasible to eradicate “invasive” plants. In answer to the question, “Why manage the wildlands?” Beitz said, “Because we are driven to alter our environment.” She also said that human disturbance maximizes biodiversity, citing a study by Joe Connell that found the greatest diversity where there are intermediate levels of disturbance. This is a radical departure from the earlier view that the most effective conservation eliminates all human activities. There is a new understanding that the historical landscape was created by humans. Any attempt to recreate the historic landscape will require a permanent commitment to manage the landscape. Because of the scale of such an undertaking, it is not realistic to transform all open space to pre-settlement conditions. Projects must be scaled to match available resources. The observation that humans are “driven to alter our environment” struck a chord. We are in the camp that prefers not to interfere with the workings of nature any more than necessary because we believe that human knowledge is inadequate to presume to make better management decisions than natural processes. There are pros and cons to every change in nature. Some plant and animal species will benefit and some will be harmed. It’s like flipping a coin. I prefer to put the coin in the hands of nature, rather than the hands of humans. However, we understand and are sympathetic to the human desire to “help” nature. A recent article in the New York Times provided a good example of how the good intentions of humans often lead to intrusions into the natural world. 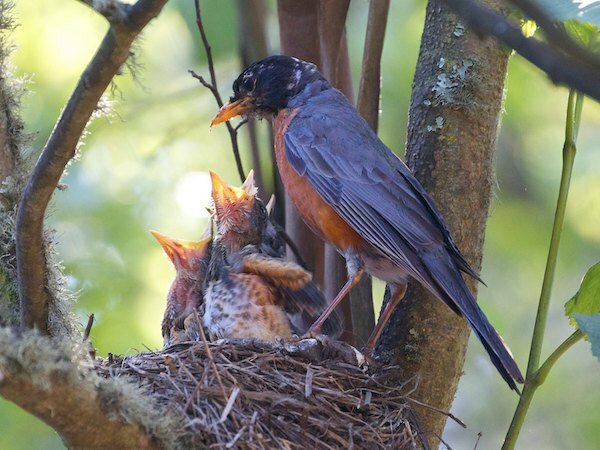 The author explained how she became the self-appointed guardian of birds nesting in her garden. Her small dog was a predator of fledgling birds. She felt obligated to identify all the nests in her garden so that she could keep her dog indoors when the birds left the nest. We know that volunteers in “restoration” projects mean well. Since they don’t use pesticides or have access to the heavy equipment needed to destroy trees, we don’t argue with them directly. Our advocacy for the preservation of our urban forest is aimed at the managers of our public lands because we are as much the owners of those lands as anyone else and our tax dollars are used to fund their projects. ← Where is the invasion biology debate headed? I was there, too. Characteristically, you didn’t identify or introduce yourself.You mischaracterized the conference. There were no policy statements. The statements you quoted were just the views of the speakers. It is absurd to claim that past human management of ecosystems should guide our current actions. It says nothing about what is best for the wildlife. What humans want is irrelevant. We don’t live there. The wildlife own their habitat, and their views are more important than ours. Making a distinction between “policy statements” and the “views of the speakers” is a legalistic quibble. In the case of the California Invasive Plant Council, they are THE official organization that classifies non-native plants as “invasive.” Their evaluations are based on many factors, including an assessment of the impact of plants on wildlife. 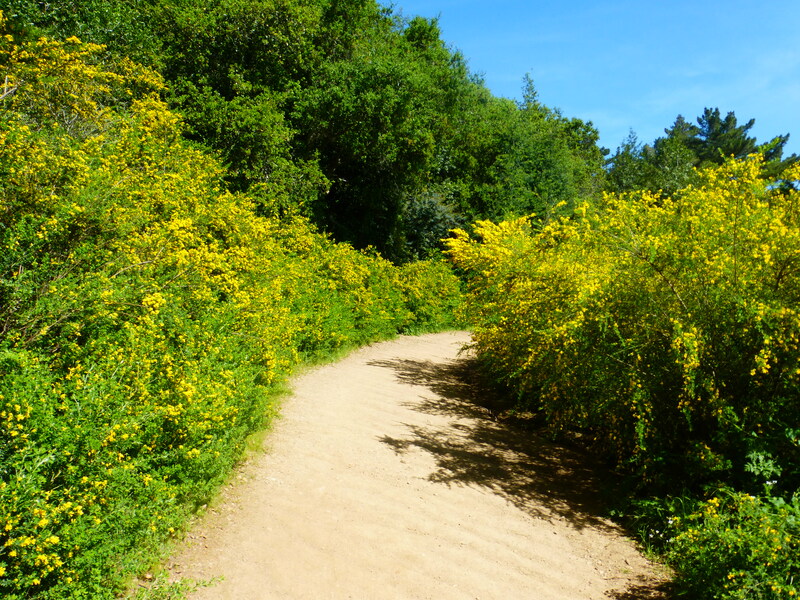 In the case of East Bay Regional Park District they authorize and supervise volunteers to work on projects on their 120,000+ acres of parkland. If they don’t authorize the project, the volunteers are prohibited from destroying plants in their parks. There is no evidence that non-native plants are doing any harm to wildlife. In fact, there is plenty of evidence to the contrary. Friends of Albany Hill reported 100 species of moths and butterflies and 80 species of birds on Albany Hill, which is heavily forested in eucalyptus. 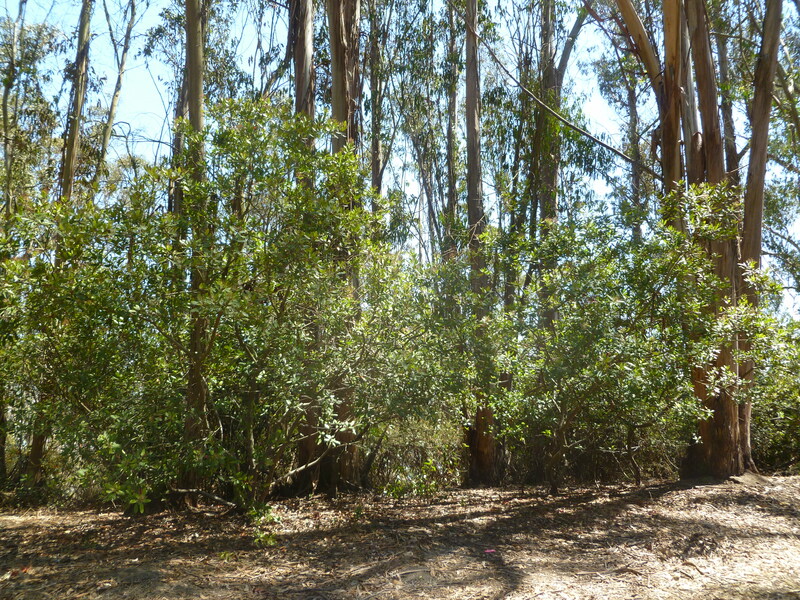 Albany Hill is one of many eucalyptus forests in the Bay Area in which monarch butterflies roost in the winter. •	Native ranges reflect the choices made by Native Americans. They do not necessarily reflect the forces of nature. 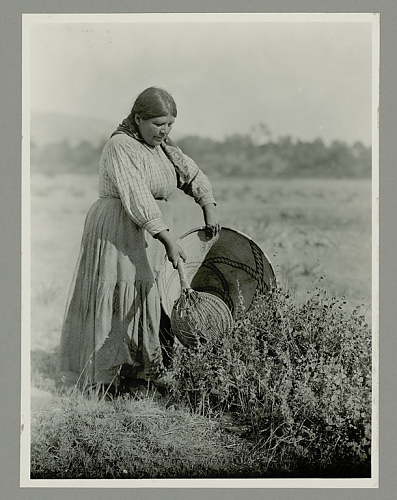 The modern obsession with “where plants belong” is based on a fantasy of why plants were found where they were when Europeans arrived in California. o	Grassland is succeeding to shrubs. o	Shrubs are succeeding to forest. o	Plant species that require fire to germinate their seeds are dying out. For example, several species of Manzanita are now endangered because they cannot be propagated in the absence of fire. o	Plant species that require full sun for their survival are dying out because they are now shaded by shrubs and trees. I find this blog one of the most interesting regarding nature and conservation. I am thankful for the wisdom of those who share the concerns that I share for how we as a society deal with nature. I agree with Million Trees, of course, because I care about our environment. It seems hypocritical for a nativist to mention caring about wild animals since the killing of non-native plants ignores what the wild animals themselves choose and why they choose as they do. One of the many benefits of Eucalyptus is that they are much safer for large birds to nest and fledge in, which is why if you want to see eagles, large owls, hawks, etc. look for Eucalyptus. With all the human-made disasters that are increasing, we need as much bio-diversity as possible. I can’t help but love the photo of the flowering broom. I can almost smell their deliciousness. The argument against invasive species is the reduction in biodiversity. How is that so hard to understand? A simple argument and like many simple arguments it isn’t true. There are no empirical studies that find reduced biodiversity as a result of the introduction of non-native plants. The article you cite was published 17 years ago. Its author is one of the academic hold outs still clinging to the assumptions of invasion biology despite 20 years of studies that find no empirical evidence to corroborate those assumptions. Scientists abandoned creationism in favor of evolutionary explanations for plant and animal species about 150 years ago. There are still a few hold outs who refuse to abandon their belief in creationism. Likewise, there are still many hold outs who believe in invasion biology. Naturally, there are still many because the empirical evidence that overturns their assumptions is more recent than the evidence of evolution.